Xbox One or PlayStation 4: Which one should you buy? As Christmas rapidly approaches, you or somebody you know may be thinking about getting a new games console. 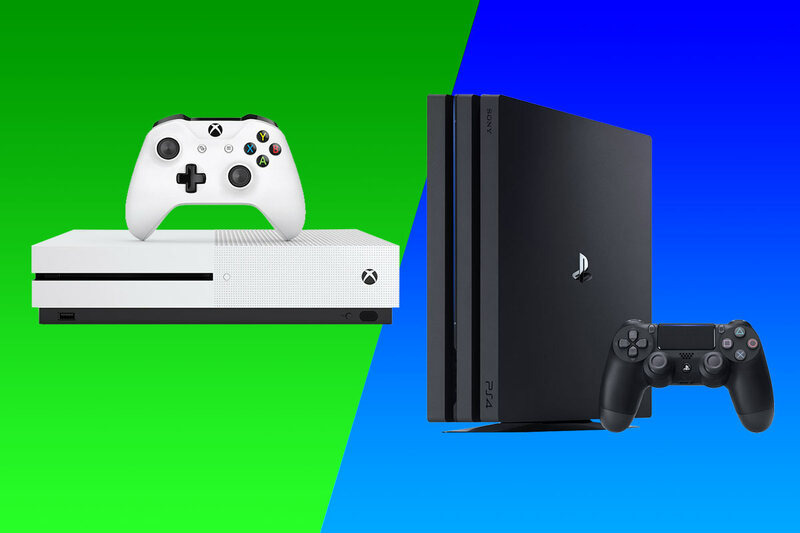 Microsoft’s Xbox One and Sony’s PlayStation 4 (with their respective S/X and Pro upgraded versions) are the two console kings, and are evenly matched in a lot of ways. Can’t decide which to buy? Read on and we’ll help you decide. What do the different models mean? Let’s start with the Xbox One. The original version was released in 2013 and came bundled with a Kinect sensor. It was capable of playing Xbox One games as well as some older Xbox and Xbox 360 titles and Blu-ray discs. Microsoft pitched the console as an all-in-one home entertainment centre, with several non-gaming features such as movie streaming. The Xbox One S dropped the unpopular Kinect sensor and came with a slimmed-down design and beefed-up technical specs. It could also stream 4K movies and play UHD 4K Blu-rays. The Xbox One X is even more powerful, and can play games in full 4K resolution. It’s difficult to find an original version in stores, so it really boils down to the better value One S or the more powerful One X. The PS4 was also released in 2013. It could play Playstation 4 games and HD Blu-rays, and output at HD resolution. The PS4 Slim was a mostly cosmetic update, with a smaller, sleeker housing. The PlayStation 4 Pro came with upgraded technical specs and is capable of running games in 4K resolution. The extra power also enables the PlayStation VR headset to work. 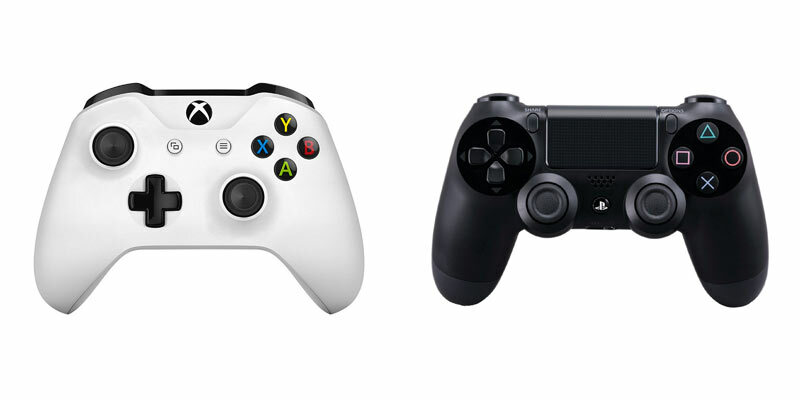 Both consoles have comparable technical specs and similar controller layouts. Both are capable of online play and can download games onto their internal hard drives. Many popular games are released on both machines, and tend to look pretty similar on both. Question 1: What games do you like? As we mentioned above, many popular games are available on both platforms – including Fortnite, Minecraft, the Call of Duty series and the annual FIFA games. When it comes to exclusives, Xbox has the likes of the Forza, Gears of War and Halo series – while PlayStation has Gran Turismo, Uncharted and Spider-man amongst others. Your choice may just boil down to the types of games that you like and which exclusives you would prefer to play. We’ll be honest – that’s a very difficult question to answer. Each console has two major versions, all of which are available with different sized hard drives and bundled with different games. The Xbox One X is the newest and therefore the most expensive – most deals are around the £400 region (at the time this was written). The PS4 Pro is a little cheaper at around the £350 mark. You can grab the lower-end versions of both consoles for around £220-£250. Again, these prices are not exact, we’ve just mentioned them to give you a rough guide. The layout of the controllers hasn’t changed much since the days of the original Xbox and the PlayStation 2. Both feature two analogue sticks, a D-pad , four face buttons and 4 shoulder buttons. Both are also battery operated and connect to your console via Bluetooth. The PS4 pad does have a track pad in the centre and a small mono speaker, but otherwise the two are evenly matched. Which controller is best ultimately comes down to a matter of taste & personal preference. Neither controller is likely to be a deal-breaker. Xbox wins here. If you own a large catalogue of Xbox 360 games, many (although not all of them) will work on your Xbox One. Sony on the other hand relies on the PlayStation Now service. You have to pay a monthly subscription, and even then you only stream the gameplay – which isn’t ideal if you don’t have a great internet connection. The Xbox One X is the only system that can play 4K movies off a disc, although many prefer to simply stream their 4K video content. The Xbox One S, Xbox One X and PlayStation 4 Pro can all do this via services such as Netflix and Amazon Prime. Along with Netflix and Amazon, Spotify, YouTube, and the BBC iPlayer run on both systems. With the exception of a few specialist services, there’s little to separate the two. Where do your friends play? One final consideration: which console do your friends play? If you want to play with people you know online, it could be wise to just go with the consoles most of your mates are already playing on. Your decision will come down to your priorities (looks, price, performance), which games you like and what your friends are playing. Both consoles are great in their own right and both have a cracking selection of exclusive titles. And if you still can’t decide, you could always just get a Nintendo Switch.